County Supplies Ltd has been in business for 10 years as a limited company. The Company have always worked with Tarmac and currently have two 32000 kg Tipper Lorries. The company is based in Colchester and in Ipswich and currently, the company have three drivers for the two vehicles. 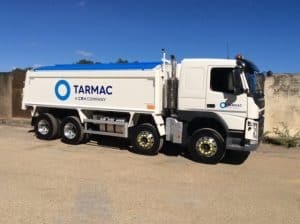 The company are mainly engaged in hauling Tarmac and aggregates on behalf of Tarmac during the day time, and operate exclusive for Tarmac. We first heard about FORS through Tarmac. We looked at the benefits of joining the scheme and we saw that these were standards and ethos that we wished to adopt of improving the safety for both our vehicles and drivers. We take safety very seriously, so we achieved FORS Bronze accreditation and then went onto applying for our Silver Accreditation which we achieved in May 2017. FORS has helped benefit to me being able to achieve better standards through their driver training programme, both classroom based and through e-Learning modules, along with FORS toolbox talks. This has led me to have a better understanding of road safety and raised their awareness of the needs of other vulnerable road users. 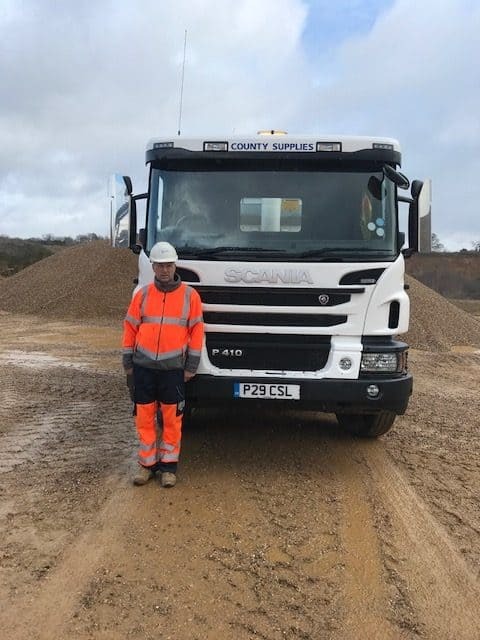 Over the past four years my accident rate has been at zero and this I attribute to FORS and their driver training programme and the Spec of the vehicle which raises the companies awareness of road safety. The drivers have completed Safe Urban Driver courses and have completed all the FORS E-Learning Modules. We have recently implemented a new recruitment policy that outlines that we need to look at employing younger drivers/employees and provide training to that particular role. Achieving Gold Accreditation will help me to continue to strive towards the highest road safety standards and that we are able to continue to maintain this safety record and protect the environment. Once we had gained our Bronze accreditation we decided to go for the Silver Accreditation in 2017 as we were already doing everything required of us to gain Silver accreditation. As a company we require that our drivers fill in an in-depth medical declaration on an annual basis even though through the FORS Standards it is recommended every 5 years. It is mentioned in the driver’s handbook. The company have recently implemented a recruitment policy to the company, that outlines that we as a company are committed to employing young drivers/employees where possible and training them into that role, in case I employ anther driver. All future vehicles will be equipped to the highest safety standards, while paying attention to the environment. And I will continue to be trained to the highest standards possible. Achieving Gold will help the company to maintain these goals and help to improve the industry’s safety standards, whilst looking towards reducing our emissions through less polluting vehicles.